EMS crews were called out just before 9:00 a.m. to 255 Grant Street for a fall victim. What they thought was going to be a routine EMS call turned out to be much more upon arrival. 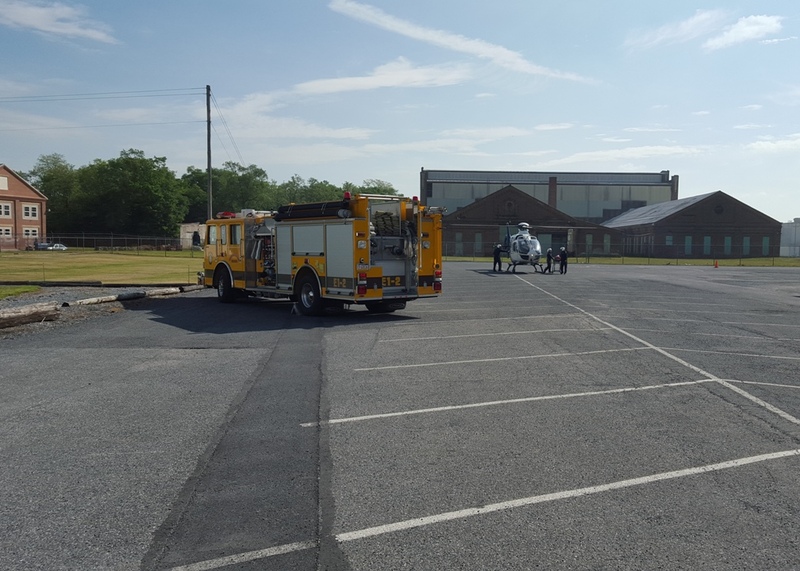 Crews found a patient that had fallen through a ceiling in the building's storage area and landed approximately 15 feet below. 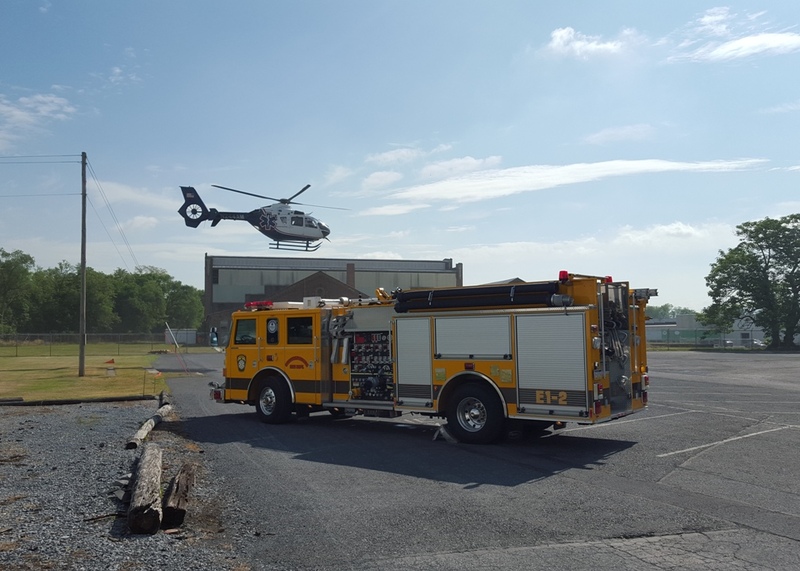 Immediately, Engine 1-2 was requested for medical assist and medical aviation was put in the air due to the patient’s injuries. Engine 1-2 arrived, assisted with patient care, and then established a landing zone in the parking lot for LifeNet 8-1.